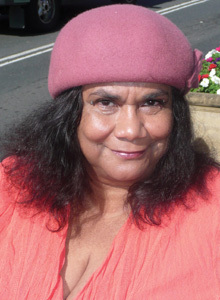 Gayle is a member of the Wongaiibon clan of the Nyaampa-speaking nation of south-west New South Wales. Her career includes four years as Indigenous issues editor/writer for Streetwize Comics and writing the award-winning novel Me, Antman & Fleabag. Gayle is a widely-published freelance writer, and a campaigner for the rights of people with disabilities.